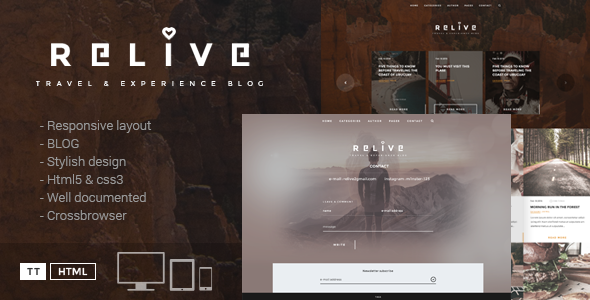 Relive is a traveling blog carefully crafted with style publishers in mind! You don’t need to be an programmer to set up and run a successful blog. Inspired by traveling people around the world Relive template comes with all the features you need to show off your content in an engaging and appealing way. Relive contains all the features a modern blogger needs so you can focus on the most important thing, creating beautiful content and interact with your readers!